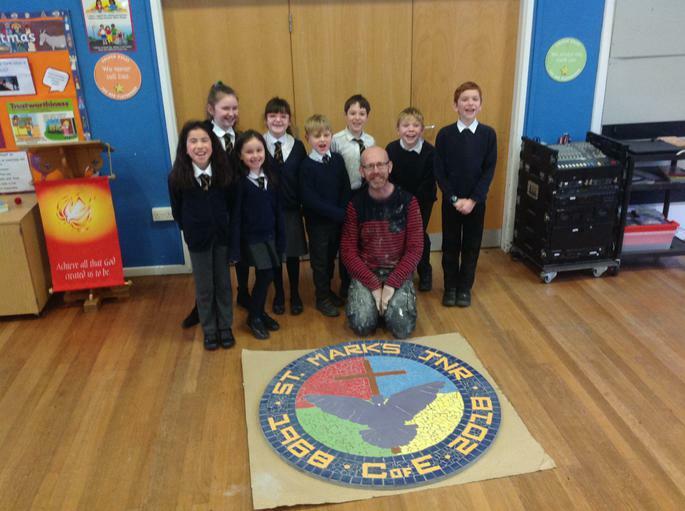 The whole school were set a homework challenge to recreate the St. Mark's logo.Mrs Watson chose work from each class and sent them off to the artist, David Bowers, to whittle them down further to two finalist from each class. 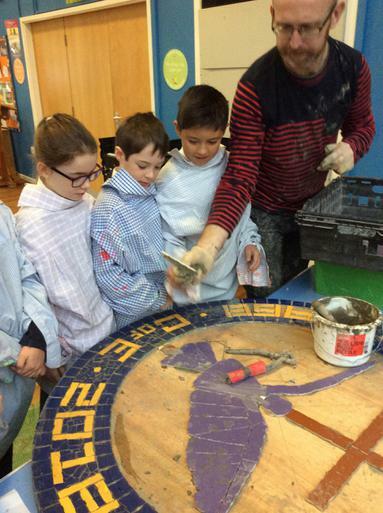 We were very fortunate to receive funding from The Arts Society Cheltenham, who were able to fund 75% of the project. 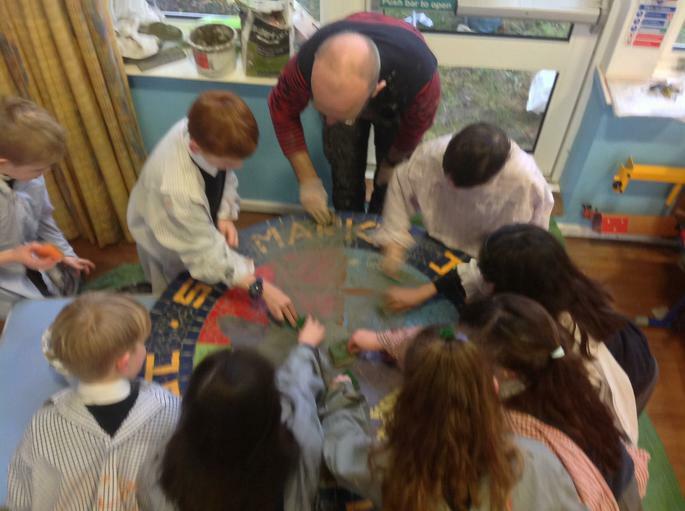 Freddie and Paige in Year 3, Erica and Breeze in Year 4, Thomas and Scarlett in Year 5 and Barry and Charlie in Year 6. 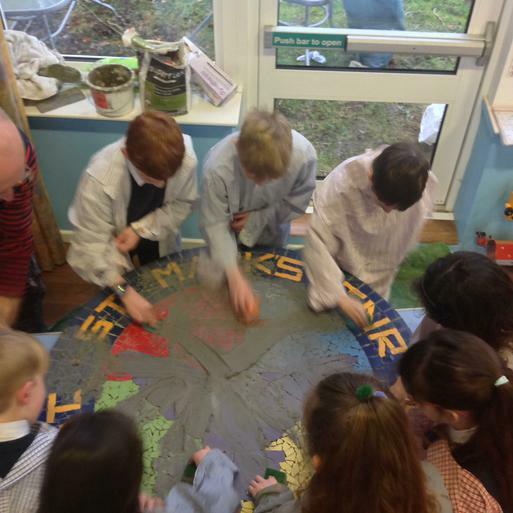 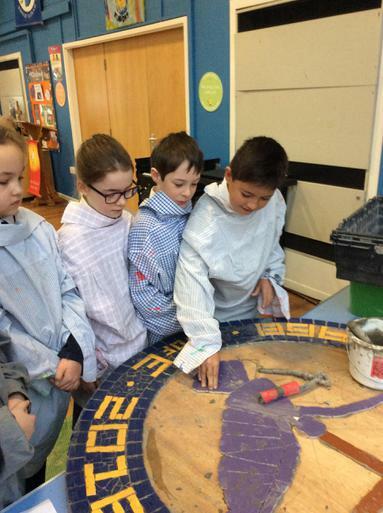 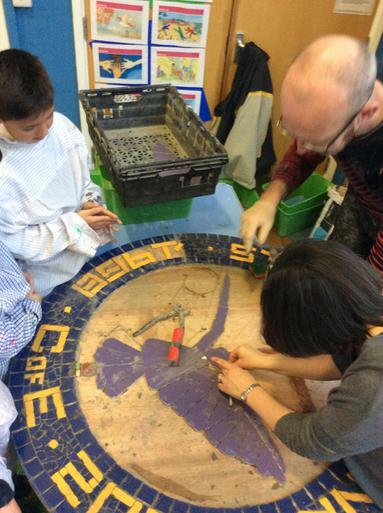 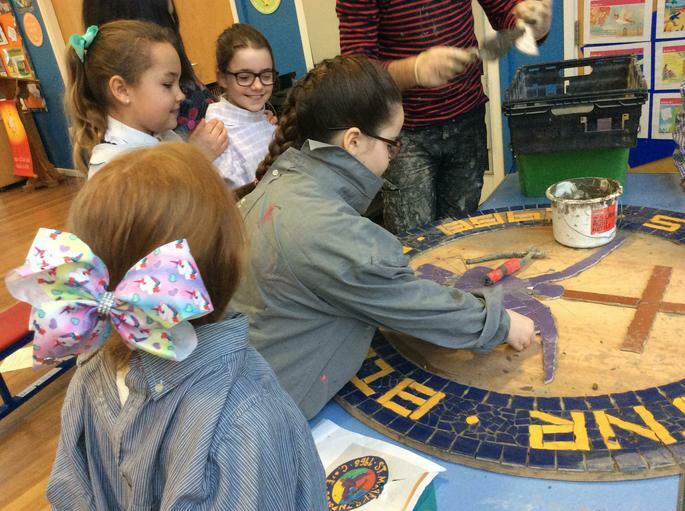 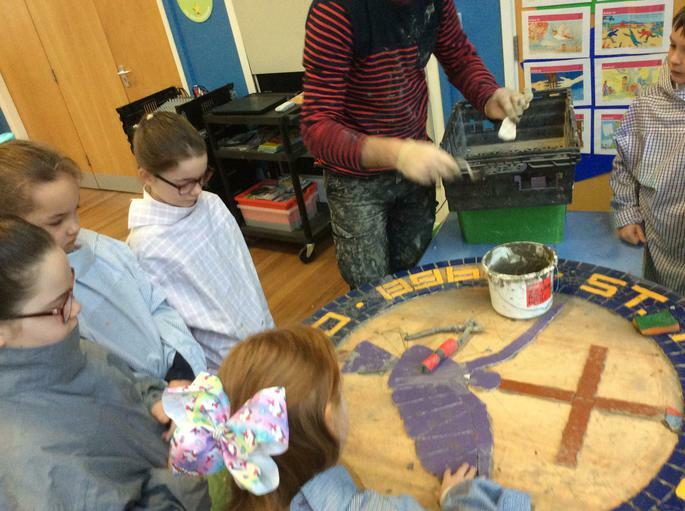 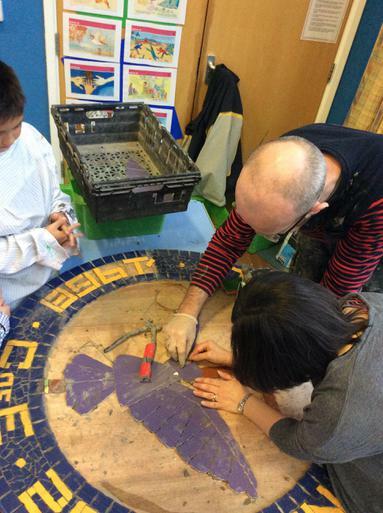 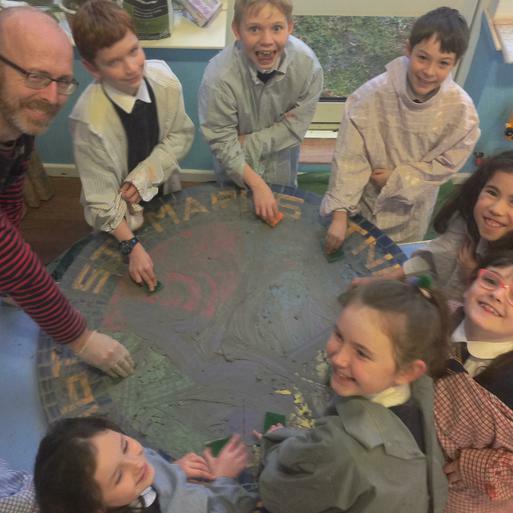 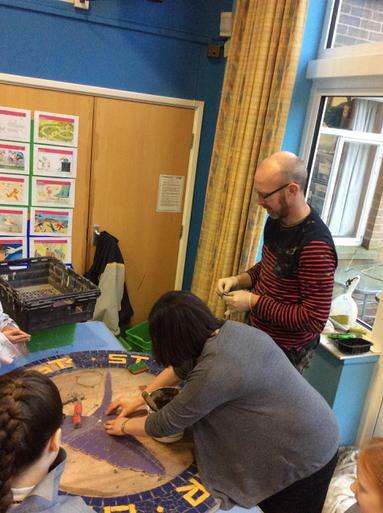 These pupils then participated in an extremely creative mosaic making day in readiness for our 50th Birthday celebrations (1968-2018 ) with the very talented Mr David Bowers. 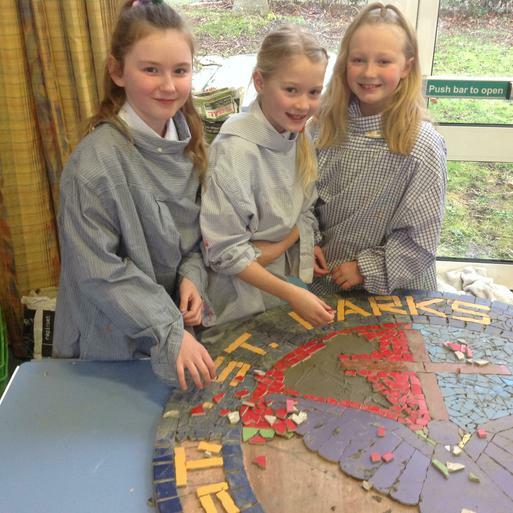 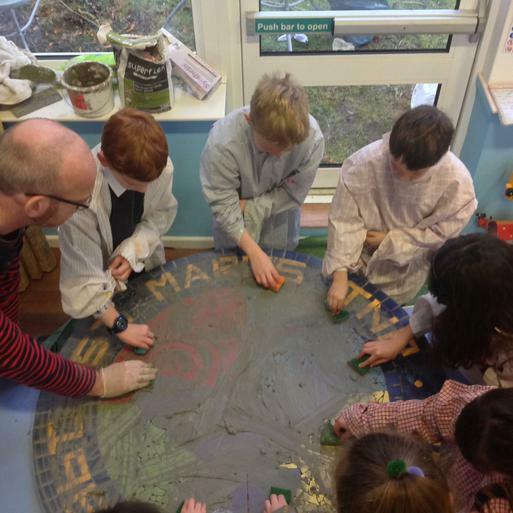 Our pupils had fun recreating the St Marks Logo design by Freddie Collins in a mosaic fashion and the results were fantastic. 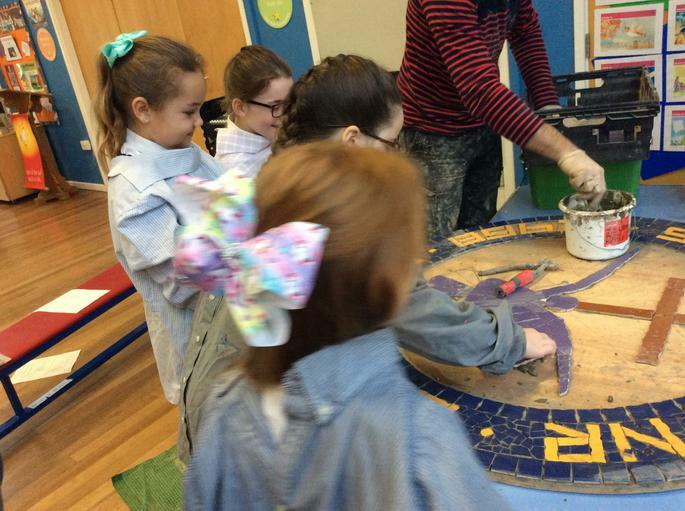 Erica, Scarlett and Barry were the winners from their classes with Freddie being the over all winner. 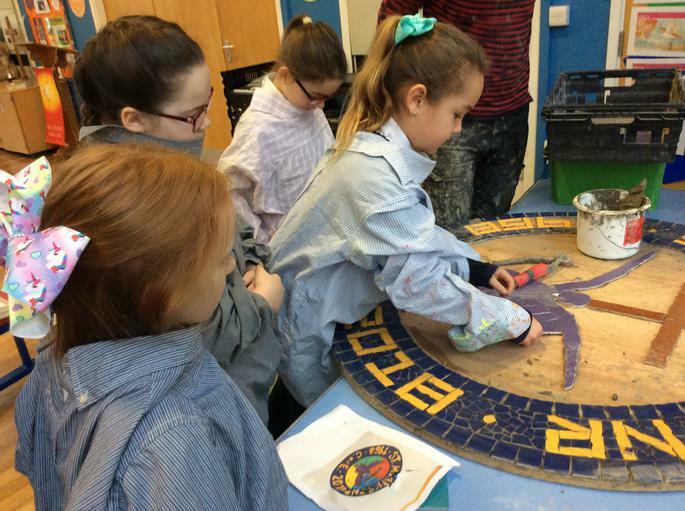 Thank you to The Arts Society Cheltenham for it's generous contribution and well done to everyone who participated !